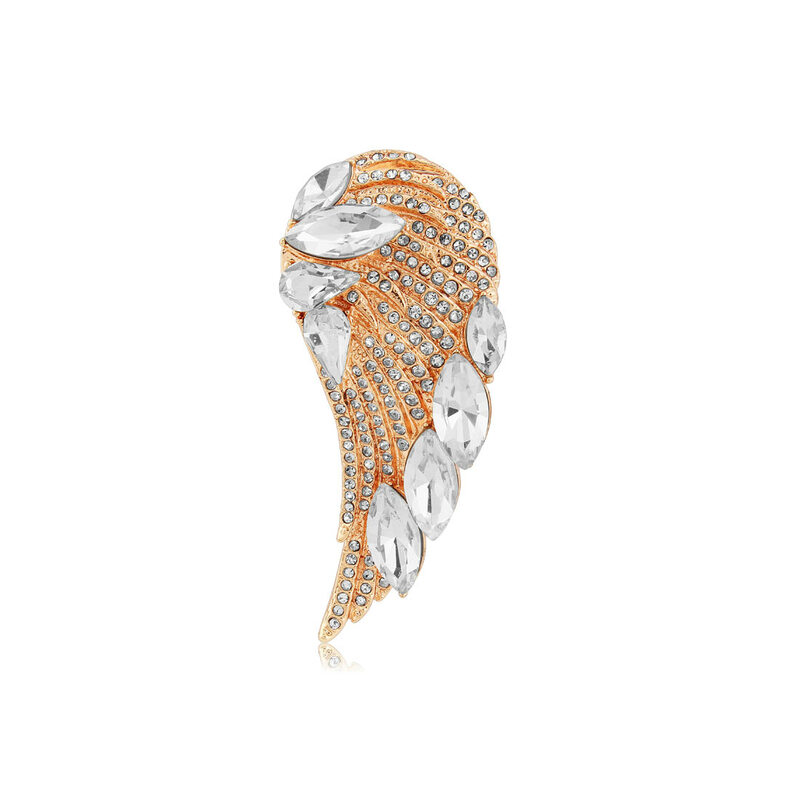 It's impossible to put the beauty of this rose gold crystal angel wing brooch into words! Embrace the iconic style of the Hollywood Starlets. A beautiful angel wing in romantic rose gold tones, our Precious Angel Brooch is simply stunning. Adorned with a myriad of sparkling petite crystals and bold crystal accents, this is a piece that makes a statement for every occasion. Fastened to a blush wedding gown or silk evening dress, or simply adorning a chic sweater or scarf; this exquisite pin has an air of Old Hollywood glamour for modern Starlet style. With brooches and rose gold being key jewellery trends right now, this is sure to make the perfect gift for ladies of every age. Symbolising protection, guidance, love and hope, there's no denying that the meaning of Precious Angel Brooch is as beautiful as the piece itself. Perfect to reassure someone special that their guardian angel will always be with them!